I was extremely privileged to receive an advanced copy of Retribution, the second book in the Degrees of Darkness series written by Winter Austin http://www.winteraustin.com/ and published by Crimson Romance. A ghost returns. An Assassin with an unholy connection to Remy’spast. And this time there’s more at stake. Called to the homicide of a Dallas criminal lawyer, Detective Remy LeBeau stares at a scene that drags him back into his past. To another murdered lawyer in New Orleans. And a case that put Remy on a collision course with death. As the case takes a turn in revealing a professional assassin is behind the death Remy begins to make decisions that could cost him his job and Cody. Because the deeper he sinks, the closer the enemies of his past come to finding him. If you read my review of the first book in the series Relentless (a link to which is included at the bottom of this review), you know I was eagerly anticipating getting my hands on Retribution. And I am so pleased to be able to say that author Winter Austin did not disappoint! I couldn’t put it down. I’m talking turning the iron on and grabbing my Kindle so I could inhale as many words as possible [in my slip] while waiting. Iron heated up too fast by the way. Retribution has an independent story arc that begins and ends within its own pages while building upon the larger arc that began in Book One and won’t conclude until the end of Book Four. You get to see more of Remy and Cody’s individual back stories as well as further development of their romance. Secondary characters are expanded (yay for Remy’s partner Heath, a favorite of mine and soon to be interviewed right here on my blog) and oh my, there is voodoo, murder most foul, sins of his past, and sadly, of hers. Once again, Winter tells one hell of a romantic suspense. With this novel the author got a chance to explore her characters more fully than in the first Book which in comparison only, now feels like an introduction to Remy and Cody. With a better look at the demons chasing them both, the vulnerabilities and fears that plague them, they became more real to me in Retribution. I’m even more hooked on this series than I was before. 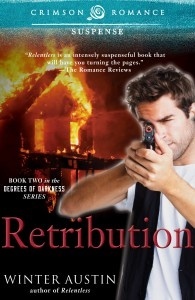 Obviously the cover tells you that Retribution is going to burn the house down. And it does. I can’t freaking wait for the next book! Retribution is available NOW everywhere fine eBooks are sold including the following online retailers: Crimson Romance, Amazon, Barnes and Noble & on iTunes. 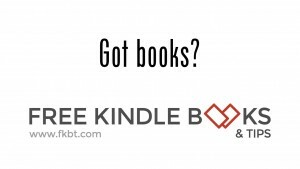 What a coincidence – I LOVE reading your books!